I tried to break up with you, but I just couldn’t. When I step into your doors I’m instantly taken back to the lean law school years when your low prices allowed us to survive on a tiny, tiny grocery budget. You’ve saved us thousands of dollars over the last 13 1/2 years. 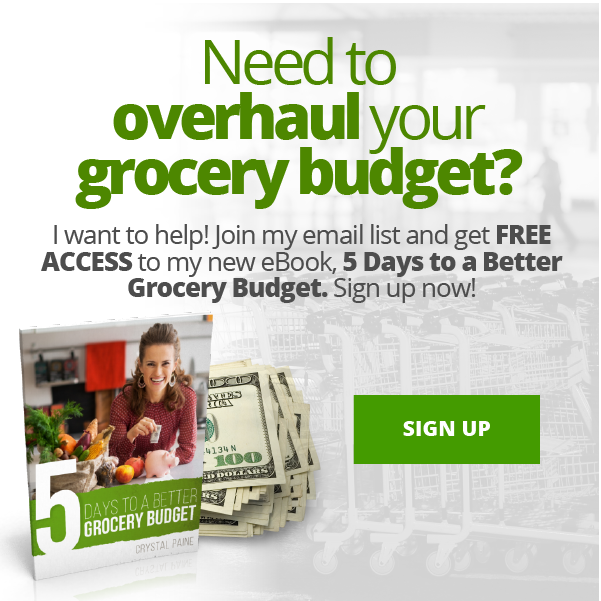 And even though I could afford to pay fancier grocery store prices now, you continue to woo me with how you simplify my life and keep our grocery budget low. Thank you for not offering 27 different kinds of ketchup. Or 56 types of salad dressing. Or 14 variations of Cheerios. Thank you for not being all flashy and slick. Stay humble, small, and inexpensive. I like you best that way. « Maybe you needed this reminder? Ha! This is such a cute letter. 🙂 At first when I saw the title, I was thinking “it doesn’t sound like Crystal to write an “open” letter.” (because they tend to be dramatic). But this is fun and such a good reminder of why Alid’s simplicity is refreshing! LOL! Love this! Sounds like the type of things I think all the time about Aldi. I call myself a child of Aldi since I grew up sitting on their counters while my parents boxed groceries. Now my kids sit on the counters. I love that I can be in and out in a half hour with a cart loaded to the brim and three tiny kiddos and always feel a bit of shock at how low my loaded cart cost me. At my Aldi the kids get yelled at if they sit on the counter! So my younger kids sit on the gross floor under the counter. Good thing I’m not too much of a germaphobe! Couldn’t they just stand by you? I always put my Littles from the cart to the carseat. I have laundry baskets and canvas bags in the back of the vehicle. Littles health and safety first. Then, load groceries from cart into bins in vehicle. It skips a step – simplicity! Our city juuuuuuuust got an Aldi. I visited for the first time last week with my kids, and I was intrigued because of all the chatter online about how great it is. As I danced into the parking lot after my first Aldi experience, I had to call my husband. I said to him, “Aldi is everything I imagined and more!” right as another person walked by and looked back at me like I was nuts. I didn’t care. I was too busy loading groceries into my van and singing. I kept the receipt. I can’t throw it out. It’s sitting on my counter making me smile every time I see it. I was able to get so much produce and meat! The kids even talked me into an impulse buy– sweet corn still in the husk. We picked up a dozen ears for a nickle a piece. Aldi is much more quicker to get through than larger stores. The Millville Crispy Oats are cheaper and healthier than Cheerios. I do not buy everything from there, but I have found that store to be very helpful. I am thankful to God for this store. True that about AlDI. The middle class shop. Remember how it helped me survive in low grocery budget. Yes! I cannot handle all the choices in the big box stores. I do not want to sort through the 29 kinds of peanut butter. I just want a jar of peanut butter. I can get through there in 1/10th the time it takes to shop anywhere else. I just wish they would have more than one cashier working at a time. 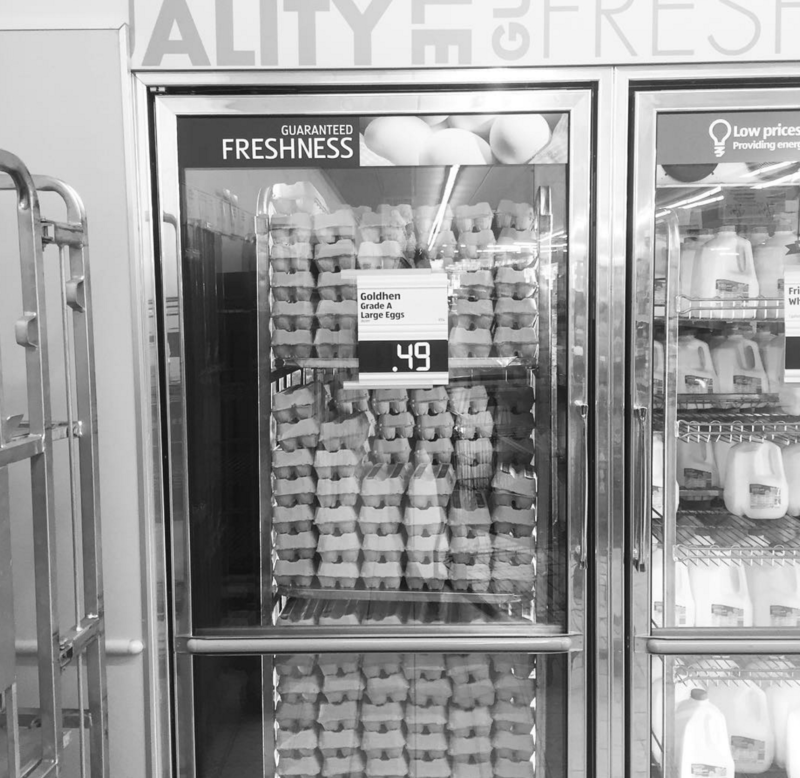 The reason eggs are .49 and the rest of the prices are so low is BECAUSE there is only one cashier. They will still get you through the line faster than any other store. We love shopping at Aldi too! Although we don’t shop there every time it’s around 50% for us. We love the produce picks of the week (really we just love the produce prices). The milk is such a great price …I could go on and on! They even make me feel more environmentally conscious by taking my own bags! I first discovered Aldi visiting a friend 4 states and 15 hours away and loved it! We visited again this year and I would not miss an Aldi trip! I only wish that the $.99 milk gallons (!!) could have survived the trip home! (But we were making multiple stops.) I now look for Aldi whenever we travel! Have you liked most of their brands? Guess I have been a brand snob, but would love to save money! My family was definitely brand snobs. But we can’t get enough of Aldi! Their brands are generally a little smaller sized than the regular brand but we don’t mind. Didn’t really need all those potato chips anyway! But for the amount of money you’re saving it’s fine. The produce from my store seems to go bad about twice as fast as produce from the “regular” grocery store. But when I pay 1.79 for two bell peppers vs 2.99 a lb, it can justify making another trip during the week to get more produce. I can admit that I am a total Greek yogurt snob and I LOVE aldis brand. It’s way better than the other store brands and its half the price of Chobani (even on sale). Many Aldi products are more health conscious than other stores. With no added colors, preservatives, organic, gluten-free etc. I can buy gluten free cereals cheaper at aldis than I can buy regular cereal at the other stores! I have been shopping at Aldi since I was a little girl. I have grown children so that tells you my age! We shop weekly and we get the best buys. If I go to another store, I gasp with the price differences. I only shop other stores for meats that I can get at lower prices due to loss leaders. I think Aldl is a great place to shop. I do wish if they are going to put “name brand” items in their inventory, i.e. Kraft, then they should take coupons for these items. They are not saving us money with these name brands. But, I go to Aldi’s to shop whenever I need to shop. I will continue to shop this great store as long as I can. Have not bought cream of soup elsewhere! The best . And it sure extends the budget. I am glad they started taking credit cards, we pay off the full balance each month and ONLY had a debit card for Aldi- now we can get rid of it! For those who need gluten free items (we have two in our family who do), they have a GREAT private label of gluten free items and they taste really good! I shop there also and untold amount. I’m glad they are selling more organic food , even if I don’t buy them. But the latest thing that has me over the moon? All there cereal, kool-aid and many other things are now dye free. As a mom of 2 adhd kids and 2 adhd grandkids that are very sensitive to red food dye (in case you didn’t know red dye can multiple the affect so you avoid at all costs ). Now my kids can have normal kids flavors like cherry ,eat capt.crunch berries marshmallows mattes and my kids favorite strawberry frosted wheat. So happy. Oh and by the way red dye is in some vanilla ice cream. Crazy right. I have to agree Aldis is a good store… for some items. Above someone mentioned eggs $ .49. I don’t know where you are from but aldis in NY is $1.89. Milk is $2.29. Can goods when first opened was $.39. Now $.69. They are a few cents cheaper than the regular stores. The cashiers here are kind of rude. They just throw the groceries on top of bread, rolls & eggs.